One planting can bring joy for generations! 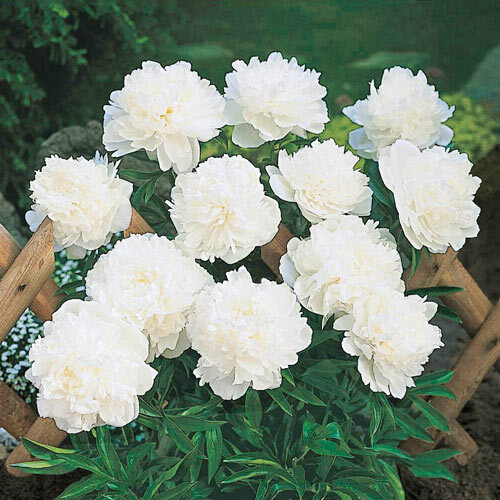 White, 4–5", cup-shaped blooms are fully double with central petals decorated with crimson touches. Strong fragrance. Lifetime Peonies are a one-time investment for a lifetime of beauty. In fact, a single planting may provide beauty for several generations since roots can be divided again and again. Flower Form Fully double flowers, 6-6.5" in diameter.